The initial release of information of an October 2015 Lincoln Park neighborhood bicycle accident indicated that a female bicyclist was killed after being struck by a truck in a noon hour incident occurring at the intersection of Lincoln Ave., Halsted Street and Fullerton Parkway. However, the Chicago Police Department news affairs office released an erroneous notification. Further clarification indicated that the bicyclist was “up and talking” after the collision and did not actually succumbed to her injuries at Advocate Illinois Masonic Medical Center. However, law enforcement issued a citation to the truck driver at the accident scene. A Clinton motorist charged with hitting and killing a male bicyclist on Milwaukee Road last August has avoided a homicide charge involving operating a vehicle while drunk. The male driver still faces charges of driving while intoxicated as his first offense. The fatal collision happened on August 29 at approximately 1:50 AM along Milwaukee Road where the victim was riding on a bicycle heading east when he was hit by an automobile traveling in the same direction. The investigation concluded that both the motorist and the bicyclists were intoxicated at the time of the accident and that the bicycle was likely difficult to see because of rainy and dark conditions. The blood-alcohol concentration level of the driver measured 0.106 immediately after the collision. The bicyclist was wearing dark clothing and his bike was not equipped with the light. A 57-year-old Joliet bicyclist lost his life after being hit by a vehicle at the intersection of Washington Street and Boulder. The victim succumbed to the injury he sustained in the collision at approximately 7:30 PM on November 11 after being transported to Silver Cross Hospital in New Lenox. No citations were issued at the accident scene and the collision remains under investigation. The manner and final cause of death is yet to be determined, pending toxicology reports, police investigation and autopsy. A 43-year-old bicyclist lost his life after being struck by a semi-truck in north suburban Skokie in November 2015 just before sunset. The bicyclist was riding eastbound on Howard Street when the truck struck him at McCormick Boulevard. The victim was taken to St. Francis Hospital (Evanston) where he succumbed to his injuries less than an hour later. An autopsy performed the next day indicated that the bicyclist suffered multiple fatal injuries caused by the truck collision. The Cook County medical examiner’s office ruled the victim’s death as an accident. It is not clear whether alcohol or drugs factored into the crash. However, Skokie police are still conducting an accident investigation. 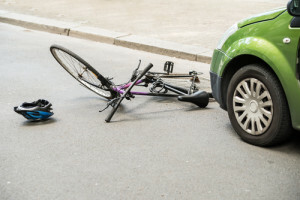 The cold of the fall and winter months along with slippery roads, falling leaves and heavy traffic increase every bicyclist’s potential of being involved in a serious accident. The number of bikes on Illinois streets has risen significantly in the last few years as has the rate of injuries and deaths of cyclists. However, bike riders can take a proactive stance to reduce their potential of serious injuries by wearing bright clothing, using reflectors, turning on taillights and headlights, and wearing a helmet. By obeying road markings and traffic signals, and following the rules of the road, every bicyclist can avoid accidents even on Illinois’ busiest roads.